You don't have to take a lot of time. Begin with a Bible verse. Talk about what it means. Ask your kids what they need to pray about, then talk to God about it. Be intentional. Start out by making a one week commitment. Tell your kids about it. They will help hold you accountable! Set aside a particular time. This could be first thing in the morning, while driving, meal time, or in the evening before bedtime. Feel like you don't have time? Ask God to multiply your time. Pray and ask Him to help you protect this time that you have set aside for Him. 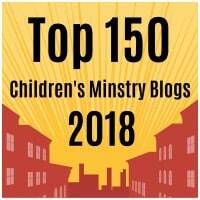 Check out these ideas to kick-off your family devotional time. By the way, the last is my favorite! Read a Bible verse, talk about what the verse means, relate to your kids & family and then pray. Use the same verse everyday for a week. Write it on index cards, and post it in your car, on the fridge, in the bathroom, in the bedrooms, on mirrors, on the mantel, anywhere. When you see it, it will remind you and your kids about what God is saying to your family. Like I said in devotionals with your kids, part 1....Once we started devotionals and prayer time with our girls at bedtime, they actually held us accountable to keep it up! Was this article helpful to you? Let's talk about it! Oh yeah, please share the love - LIKE and SHARE this with those you love!